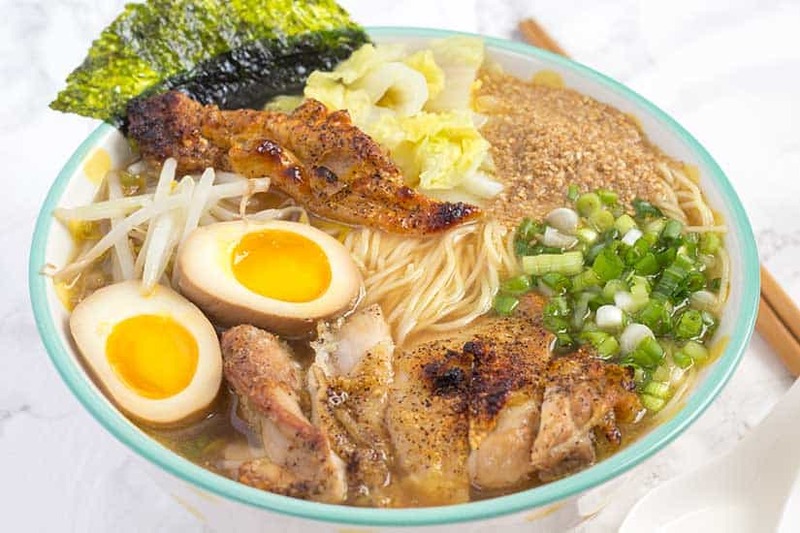 Let me begin by saying this… I completely realize that this is not an authentic preparation of ramen. I am from a small town in Florida, so it would be impossible to even claim such. However, I have eaten authentic ramen many times! 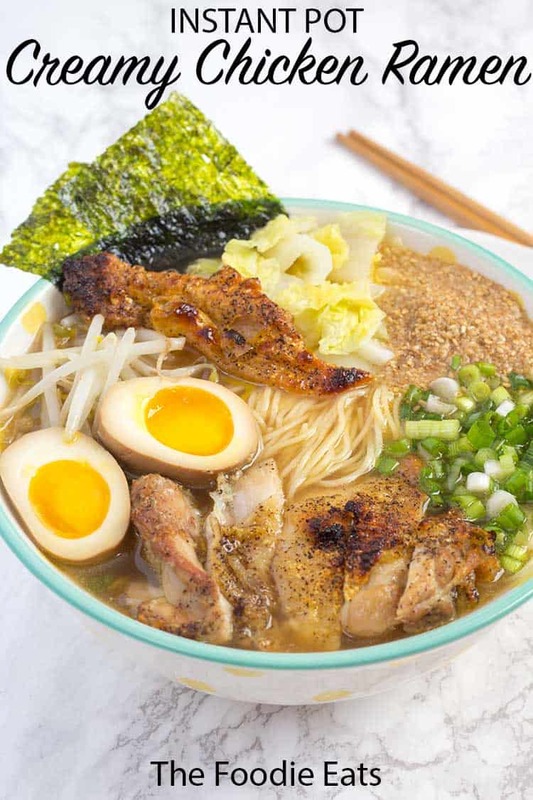 So when you combine my love for authentic food, my lack of 2 days of time to prepare one meal, and my love for all things Instant Pot… you get this pressure cooker ramen recipe! 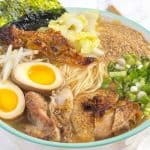 What’s different from authentic to pressure cooker ramen? Well, the biggest difference between ramen you would get in Japan and this pressure cooker ramen is simple: time! 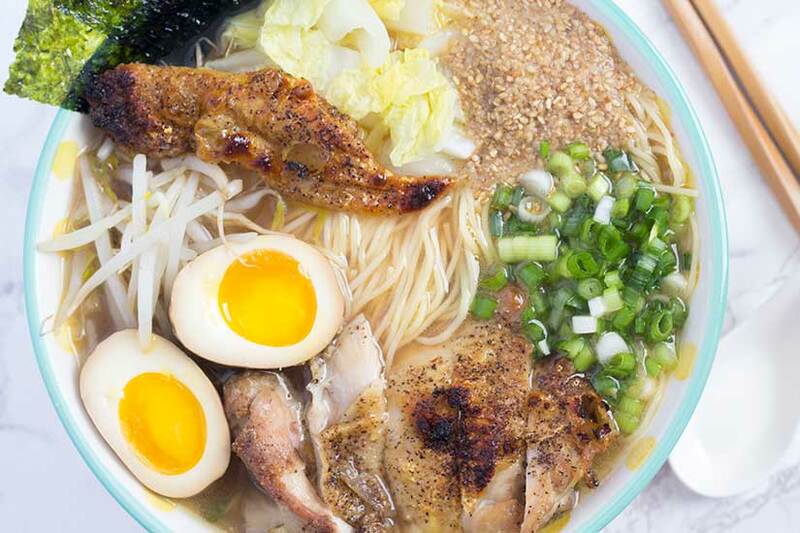 Ramen masters will cook their broth anywhere from 10 hours to 2 days! So obviously we are not gonna reach the level of depth in flavor. 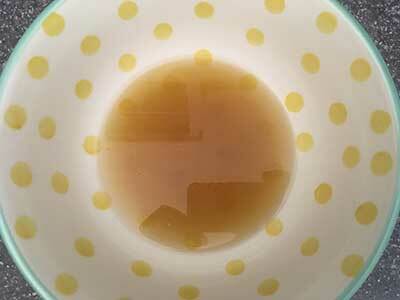 Our cheat in this recipe is to start with chicken broth instead of water. It’s a small change with BIG difference. 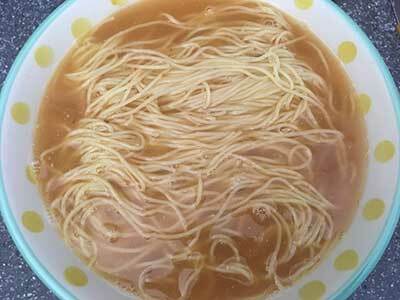 We’re using angel hair pasta in this pressure cooker ramen recipe. And at first glance you might think that it’s ridiculous. But we’re actually cooking them in salted water with cornstarch to transform their texture. The cornstarch gives the noodles a chewy texture that will remind you of traditional ramen noodles. You could also use instant ramen noodles instead. You will end up in the same place. 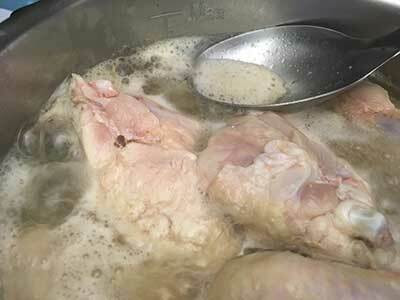 Soak chicken in cold water for at least 30 minutes. This will help remove some of the blood and other impurities. 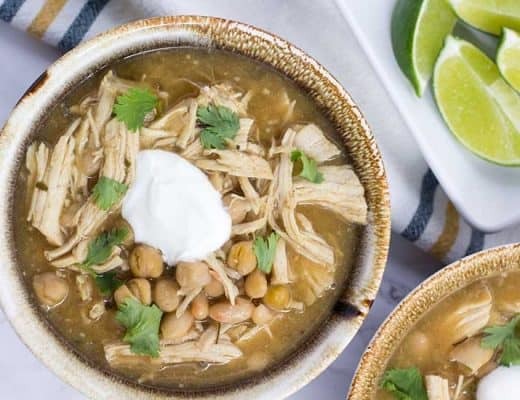 The goal is to have a clean broth at the end, so don’t skip this step. 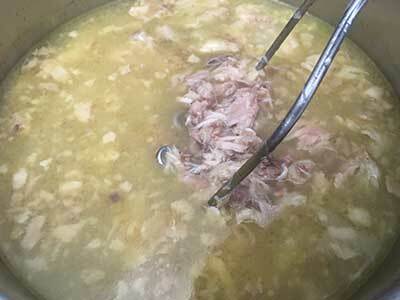 Add chicken to pot and cover with chicken broth. Turn on sauté setting and bring up to a boil. Boil for about 15 minutes, removing all the scum as it boils. There should be no scum before you close the lid. Add 1 cup of sake and 1 cup of water, then lock lid and cook at high pressure for 90 minutes. Add 1/2 cup tamari, 1/2 cup sake, and 1/2 cup mirin to a small pot and bring to a boil for 2-3 minutes. Remove from heat and cool completely. We did this in the freezer for about 10 minutes. Bring a pot of water to rolling bowl. Place eggs into boiling water and cook for 6 minutes. 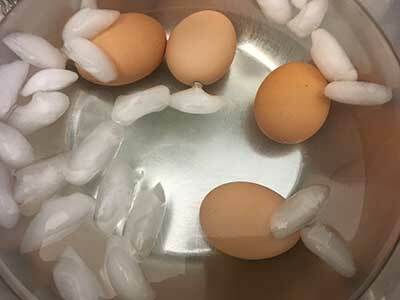 Then immediately transfer eggs to an ice water bath to stop the cooking. 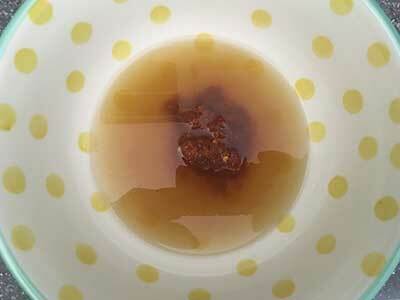 Once cool, carefully peel eggs and place them in a small bowl with completely cooled soy/sake/mirin mixture. Lay a paper towel on top to help keep them submerged. These really should be prepped the day before to soak overnight. 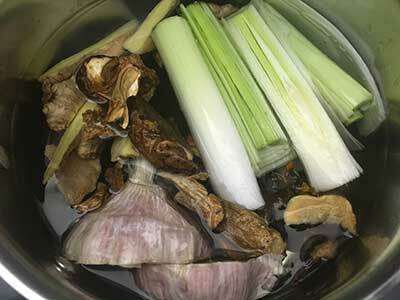 To make the tare… In a medium-sized pot – add 1 cup sake, 3 cups water, leek, mushrooms, garlic, and dried kelp. Bring to a boil and simmer for about 1 hour. Then run through a fine mesh strainer and return to pot and keep warm. Once cook time in pressure cooker is complete, quick-release the pressure. There is a lot of liquid inside, so you may need to do this slowly or a little bit at a time. Using a potato masher – break up the chicken as much as you can. 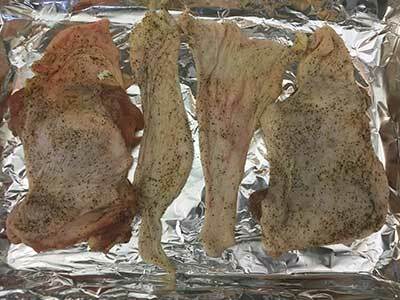 We want to get every bit of flavor possible out of the bones, so don’t skip this step! Lock the lid and cook once again at high pressure for 30 minutes. Then do another quick-pressure release. 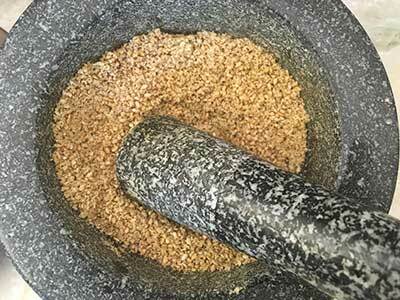 Using a mortar and pestle (or spice grinder) – grind up sesame seeds. Preheat oven using high broiler setting. 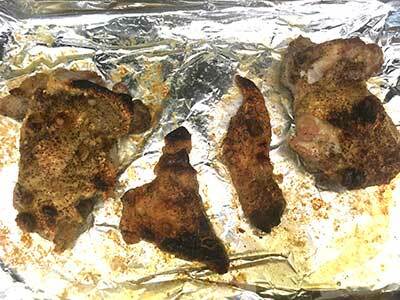 Season boneless chicken thighs (and optional chicken skin) with salt and pepper. Place on baking tray skin side up. Move tray to oven on middle rack and cook for about 12 minutes. Keep a close eye on them. Once the skin has the right amount of color on them for your liking, move the tray to the bottom rack for remaining cooking time. 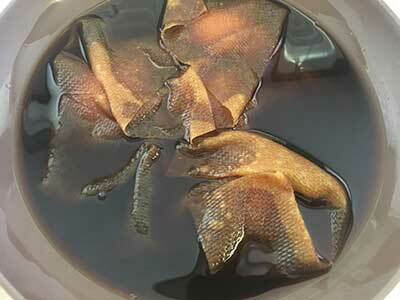 Once pressure cooker time is complete, pass the broth through a fine mesh strainer into a large bowl. Quickly rinse out the pot and strainer. 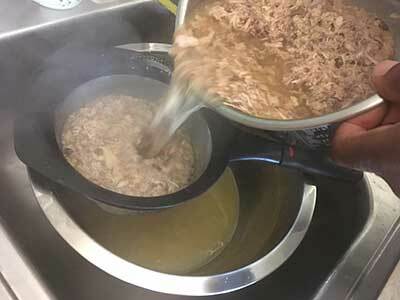 Then pass the broth through the strainer again back into the pot. Return pot to cooker base and turn on keep warm setting. About 5 minutes before serving, switch to sauté setting so that broth is boiling hot. 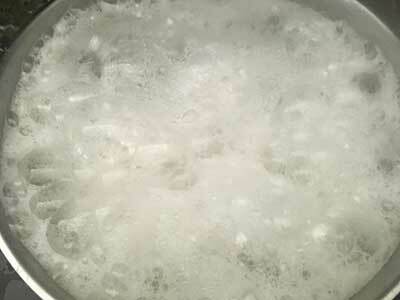 Bring 3 quarts of water to a boil in a large pot over high heat. Heavily season water with 2 tablespoons of salt. This may seem like a lot of salt, but you’ll be cooking 3 things in this water. First cook the sprouts for about 1 minute, then remove and set aside. Once the water comes back up to a boil, cook the cabbage for about 2 minutes, then remove and set aside as well. Make sure to remove as much of the veggies as possible. Reduce to medium heat. Then add 2 tablespoons of cornstarch to water, one at a time. The water will fizz a lot, so remove completely from heat if looks like it’s going to boil over. Once the water is boiling at a reasonable level, add the pasta and cook according to instructions on the box. Then drain and set aside. Using a serving bowl with high side and wide rim – add 1/2 cup of tare. Then add 2 cups of broth to bowl. Add noodles to broth and mix well to coat well with sauce. Then add all your toppings to bowl. Since you have worked so hard to get this far, make sure you take the time arrange them as nice as possible. 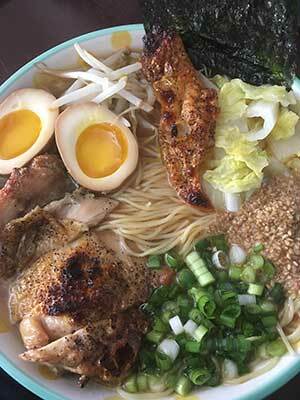 Rich and flavorful broth for this pressure cooker ramen recipe with a "creamy" consistency and spicy option. Add chicken to pot and cover with chicken broth. Turn on sauté setting and bring up to a boil. Boil for about 15 minutes, removing all the scum as it boils. There should be no scum before you close the lid. Add 1 cup of sake and 1 cup of water, then lock lid and cook at high pressure for 90 minutes. 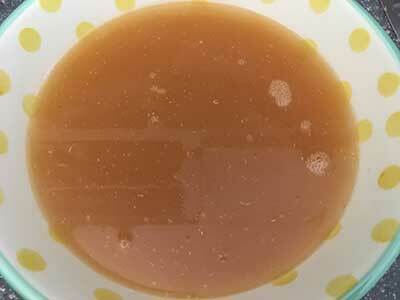 Pass the broth through a fine mesh strainer into a large bowl. 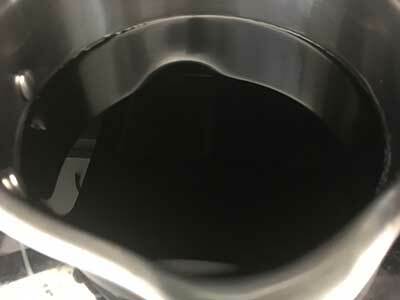 Quickly rinse out the pot and strainer. 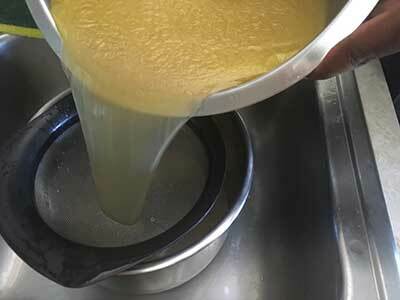 Then pass the broth through the strainer again back into the pot. Return pot to cooker base and turn on keep warm setting. About 5 minutes before serving, switch to sauté setting so that broth is boiling hot. 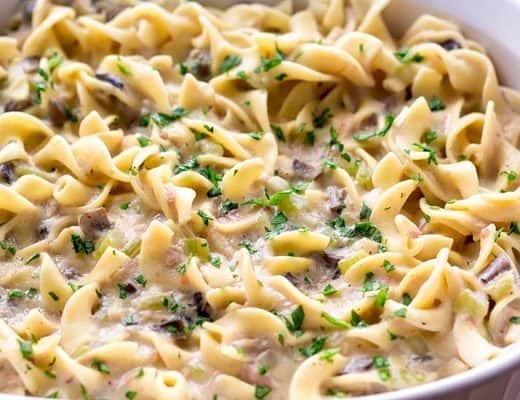 In a medium-sized pot – add 1 cup sake, 3 cups water, leek, mushrooms, garlic, and dried kelp. Bring to a boil and simmer for about 1 hour. Then run through a fine mesh strainer and return to pot and keep warm. Bring 3 quarts of water to a boil in a large pot over high heat. Heavily season water with 2 tablespoons of salt. This may seem like a lot of salt, but you’ll be cooking 3 things in this water. First cook the sprouts for about 1 minute, then remove and set aside. Once the water comes back up to a boil, cook the cabbage for about 2 minutes, then remove and set aside as well. Make sure to remove as much of the veggies as possible. Reduce to medium heat. 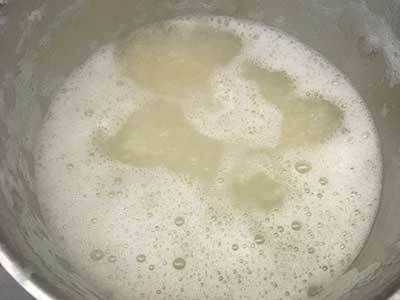 Then add 2 tablespoons of cornstarch to water, one at a time. The water will fizz a lot, so remove completely from heat if looks like it’s going to boil over. 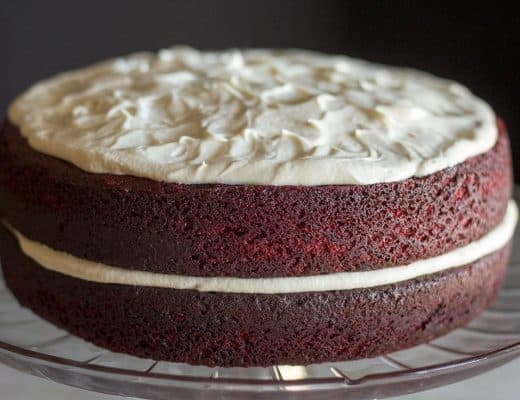 Using a serving bowl with high side and wide rim – add 1/2 cup of tare. Then (for spicy option) add 2 tablespoons of garlic chili sauce and mix well. Then add 2 cups of broth to bowl. What sake brand do you recommend? Is Mirin the same as sake? I don’t have a recommendation on sake, I just use the most affordable/drinkable one I can find. Mirin is not the same as sake. 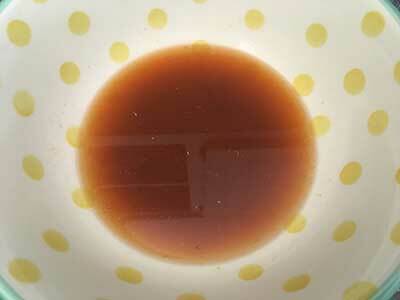 Mirin is a sweet rice wine that is usually meant for cooking. Do I pour the tare into the chicken broth? No, you put 1/2 cup of tare in each bowl before you pour in the broth. It’s the first step in the “to build the bowl” section of the recipe. There’s also pictures.